So, I finally made it to the cinema to see Richard Ayoade’s Sundance entry Submarine, which has been much lauded and for good reason. Based on the novel by Joe Dunthorne, this markedly British coming of age story sees semi-recluse Oliver Tate (Craig Roberts) move between daydreaming, pursuing ballsy pyromaniac Jordana Bevan and trying to salvage his parents’ marriage. Ayoade’s directorial debut is at times overtly self indulgent (which can be annoying) and drags on a bit towards the end but on the whole, I found it utterly charming. 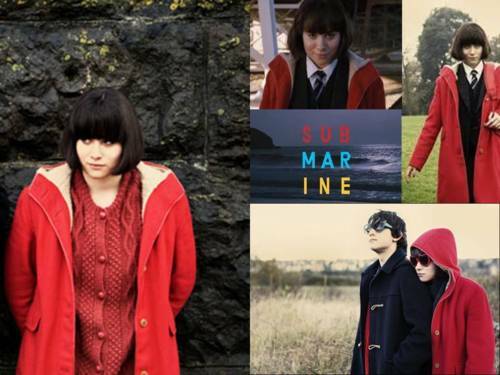 Most critically, Submarine has offered me a new fashion inspiration in Jordana…where can I get that red duffle coat?